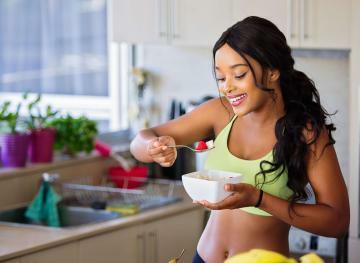 Over the years, carbs have gotten a bad rep for being “unhealthy” and “causing weight gain.” Many popular fad diets — like the keto diet and Atkins diet — advocate for an extremely low intake of carbohydrates. But carbs are essential nutrients that give you energy to power through your workouts and even help your body digest protein and fats. Carbs should make up 45 to 65 percent of your daily caloric intake. So this means that you can eat a whole lot of bread and still have a healthy diet, right? Well, not exactly. Some bread varieties are made of refined grains that have had essential nutrients removed during processing. 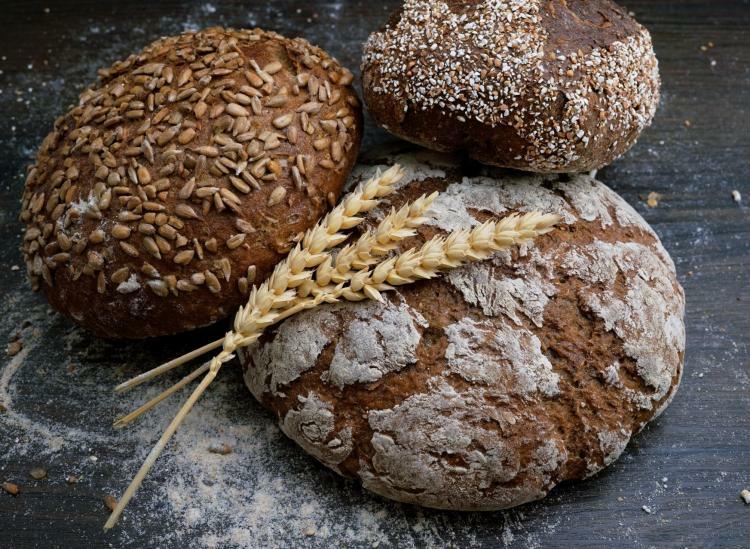 Bread made with refined grains also tends to raise your blood sugar levels faster than varieties made with whole grains — a phenomenon that makes us crave more sugary foods. So the next time you’re picking out a loaf at the grocery store, stick to these six healthier bread varieties. Pro tip: If possible, opt for freshly baked bread rather than reaching for pre-packaged bread slices that are likely overly processed. When buying whole wheat bread, make sure that you’re only choosing varieties that are “100 percent whole wheat.” If the bread has this label it means that it’s entirely made up of wheat kernels, as opposed to being mixed with other grains. Other varieties that have “wheat” in the title may still contain some refined white flour. This type of bread is naturally low in fat and cholesterol and high in filling fiber. Since it hasn’t been processed like bread made with white flour, it still contains an abundant amount of vitamins. If your local grocery store doesn’t offer freshly baked whole wheat bread, opt for pre-packaged versions like Arnold Whole Grains 100% Whole Wheat Bread and Nature’s Harvest Stone Ground 100% Whole Wheat Bread. 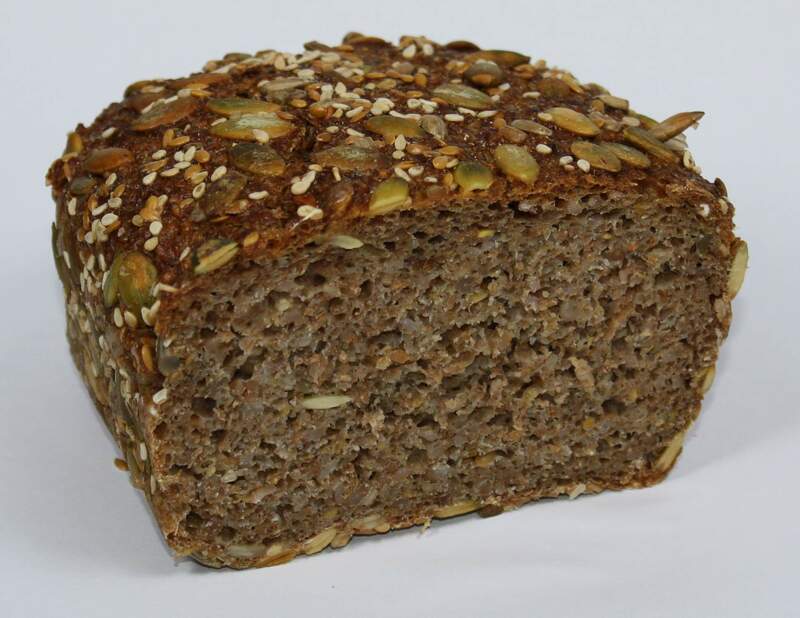 Sprouted grain bread is made from whole grain that has begun to sprout — meaning that it’s begun to grow into a plant. This sprouting process changes the nutritional profile of the grain, making nutrients more readily available and potentially easier to digest. Sprouted grains are good sources of folate, iron, vitamin C, zinc, magnesium and protein. Most sprouted grain bread tends to have a higher fiber content than other bread varieties and it also tends to be lower in carbs — with roughly 34 grams of carbs in a 110-gram serving. 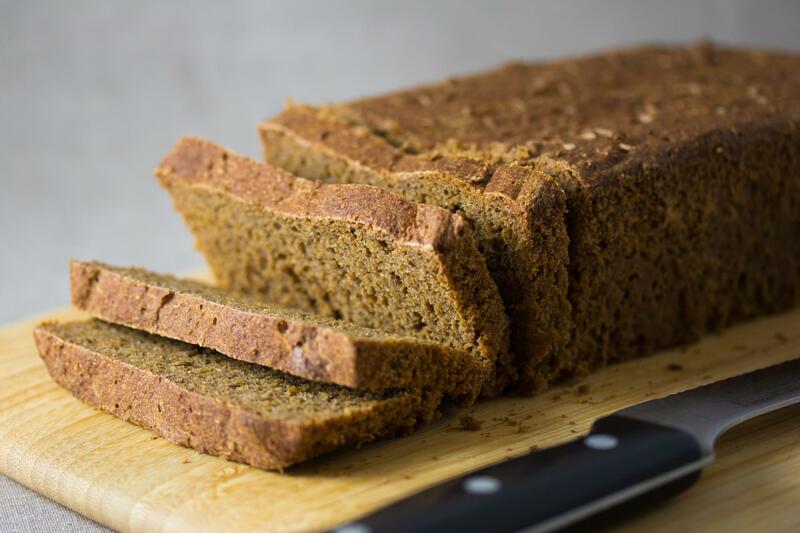 A popular sprouted grain bread doted on by nutritionists is Ezekiel bread — one slice of bread has 80 calories, 15 grams of carbs, three grams of fiber, four grams of protein and zero grams of sugar. We all know that oats are one of the healthiest sources of complex carbs — they’re high in fiber and slow-digesting, so they make you feel full for longer. Oat bread typically contains whole grain oat groats, steel cut oats or thick rolled oats — or a mixture of the three. Like plain oatmeal, oat bread is high in fiber and loaded with antioxidants. One slice of Pepperidge Farm Oatmeal Bread has 130 calories, three grams of fiber, 23 grams of carbs, six grams of protein and four grams of sugar. Just like oatmeal, oat bread is higher in carbohydrates than some other bread varieties (like Ezekiel bread), but you can rest easy knowing that these are complex carbs derived from low-glycemic oats. Flaxseeds are a healthy source of omega-3 fatty acids — healthy fats that have been shown to lower one’s risk of developing diabetes, cancer and heart disease. Although oily fish such as salmon and fish oil are popular sources of omega-3 fatty acids, flaxseed bread’s a good alternative to those who don’t eat animals and animal products, like vegetarians and vegans. A typical 34-gram serving of flaxseed bread has 80 calories, four grams of fiber, 14 grams of carbs, five grams of protein and zero grams of sugar. 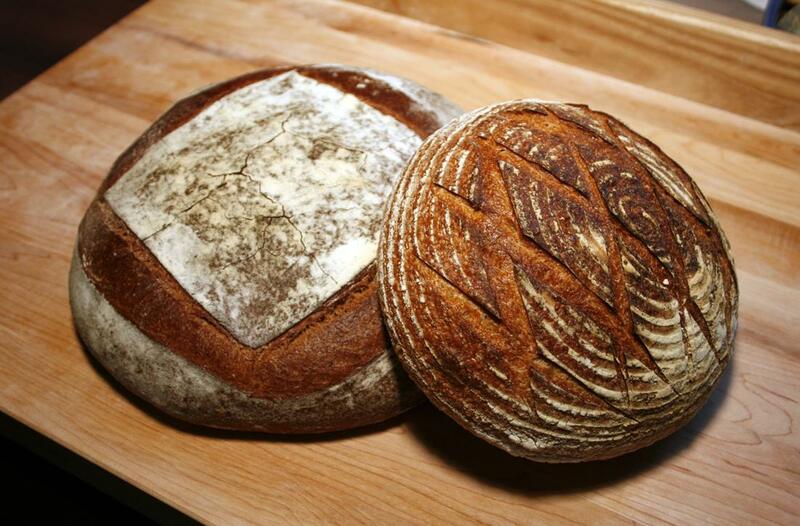 This type of bread is made using flour from rye grain, a type of grain that’s closely related to barely. A 2009 study found that those who ate rye bread as part of a healthy breakfast felt full for longer both before and after lunch, compared to the control group. One slice of rye bread typically contains 83 calories, two grams of fiber, 12 grams of carbs, three grams of protein and one gram of sugar. 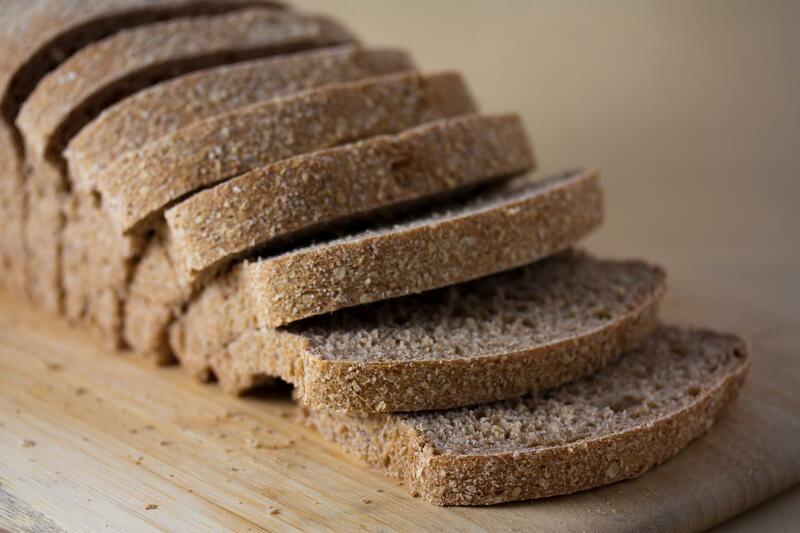 When shopping for rye bread, keep in mind that thinly-sliced German rye bread — typically dark brown and harder than other bread varieties — is particularly nutritious. Sourdough is a type of bread made from naturally occurring yeast and bacteria in flower. Simple sourdough bread recipes only contain three ingredients: sourdough starter (made with yeast, flour and warm water), salt and flour. 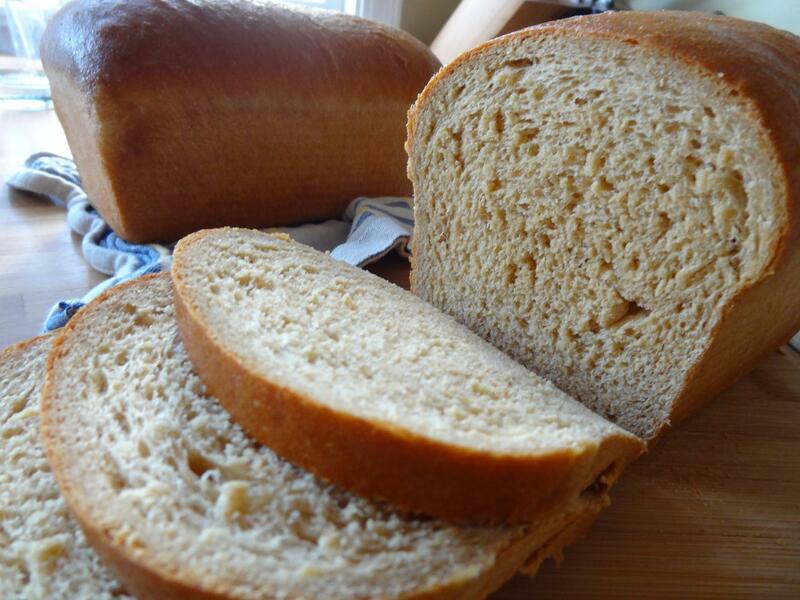 Traditional varieties of this bread don’t include any milk, oils or sweeteners. Lactobacilli — the healthy bacteria, also found in yogurt, used to ferment the dough of sourdough bread — help keep your gut healthy and your digestive system running smoothly. A 32-gram slice of sourdough bread contains 92 calories, 0.8 grams of fiber, 18 grams of carbs, 3.8 grams of protein and less than one gram of sugar.